I know, it is a long time between clues! Next one will be here in two weeks, I promise! Using a pencil, draw a diagonal line from point to point on the back of the 30 assorted light/neutral squares. 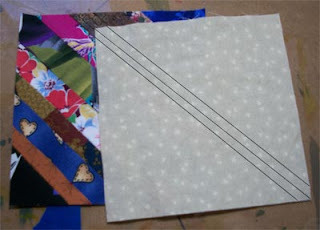 Now draw a line 1/4” away from the center line on each side. 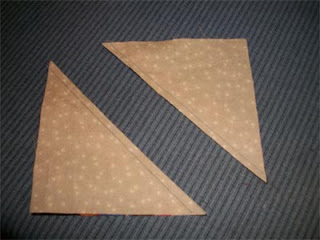 Setting the light/neutral square on top, with right sides facing each other, match the direction of the diagonal on the string block, and sew on the 1/4” lines. Cut on center line and iron your HSTs open. Square up to 5” if needed. 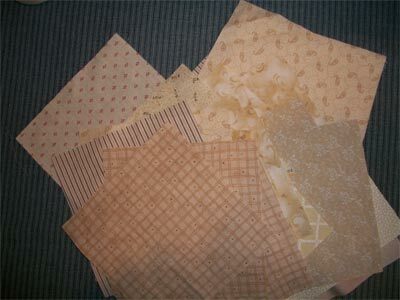 CORRECTION: this should read 5 1/2"
Taking your Four Patch units and your HST units, lay them out and choose a border fabric from your stash. 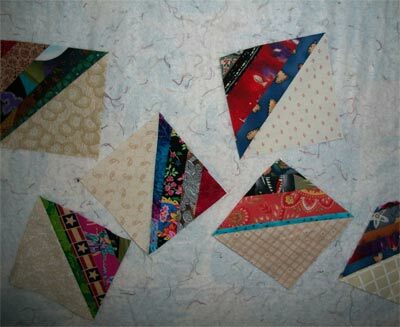 You will need approximately 1 ¼ yards.